So… What’s this gonna cost us??? 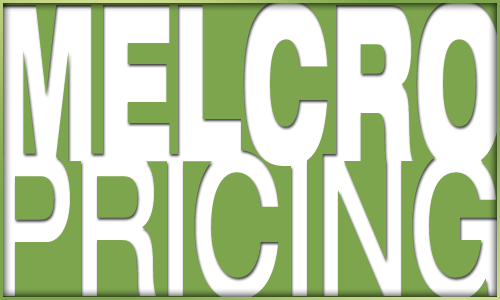 Melcro Industries, LLC has gone to great lengths to come up with a unified price point for all of the services offered. Pricing and packages can get a little sticky, considering the scope, magnitude, and frequency of work involved. Prices and packages are subject to change at anytime, without notice. Of course, Melcro Industries, offers bids for one-offs and complete projects… and yes companies do receive huge discounts when combining several services all at once. Upon request, Melcro will provide an estimate or proposal for services, and guaranty prices, so long as the scope of work does not have a significant alteration during the production of the project. If, however, hourly estimates are exceeded due to additions or unforeseen elements during production, Melcro Industries reserves the right to modify the scope of work and/or the budget for each project. In the case of an extreme overage, clients will be notified and made aware of progress and expected delivery times. The prices and packages represented on this page are subject to change, cancellation or alteration without notice. Melcro Industries does not grandfather service price points or any service or product rendered for public consumption. If prices increase for commodities, materials, or any other service related to the scope of work involved, Melcro Industries reserves the right to adjust pricing accordingly.